The British government has endorsed plans by oil giant Shell to leave some decommissioned North Sea oil infrastructure in place, despite the German government expressing serious concerns about shortcomings in the oil giant’s proposals, according to leaked documents seen by Unearthed. Hundreds of ageing North Sea oil and gas rigs will be decommissioned in the coming years and removing structures from the sea completely will be expensive. The UK public spending watchdog, the National Audit Office, has said that British taxpayers will face a bill of at least £24bn for tax relief awarded to oil companies decommissioning North Sea oil infrastructure. Following an assessment and consultation, Shell has proposed leaving portions of its Brent oilfield installations in the North Sea. A document, seen by Unearthed, from January 3 this year, shows that the Offshore Petroleum Regulator for Environment and Decommissioning (OPRED), which is part of the Department for Business, Energy and Industrial Strategy (BEIS), has given its full support to Shell’s proposal. The plans include leaving the residual contents of concrete storage cells, including oil and chemicals, at three of the four installations – Brent Bravo, Charlie and Delta. But the move by the UK government to agree to the proposals may undermine an international convention designed to protect the marine environment. Rules for decommissioning oil fields in the North Sea were set up by the OSPAR Convention, an agreement including 15 countries – including the UK and Germany – and the EU, which aims to protect the marine environment of the north-east Atlantic. But further leaked documents show that the German government had already expressed serious reservations about Shell’s proposals. One document seen by Unearthed shows that the German government warned in November 2018 that Shell’s plans failed to properly to account for long term risks to the environment and ship traffic – particularly in the case of a maritime accident. 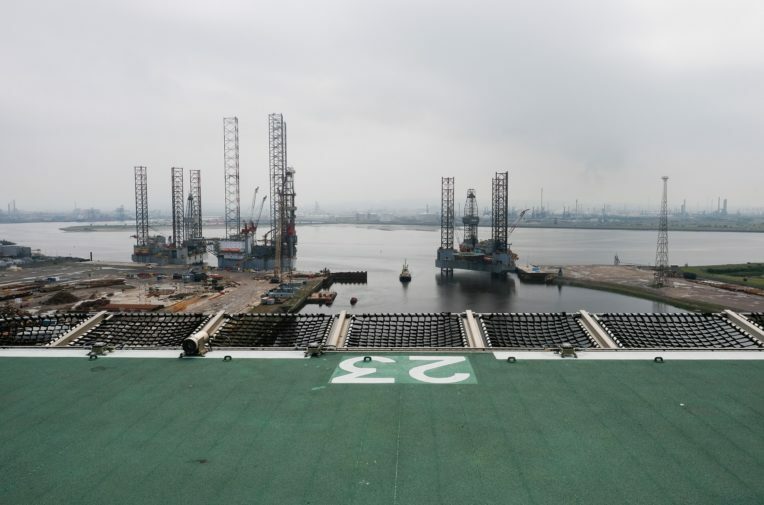 It also expressed concern that the comparative assessment methodology used by Shell was biased in favour of the company’s cheaper and preferred option, to leave North Sea installations in place. The UK government has now written to all the OSPAR nations asking them to comment on its decision to endorse Shell’s plans. According to this letter, the German environment ministry met twice with Shell to express reservations about the company’s proposals to leave installations in place and the methodology used by Shell to arrive at that conclusion. Schulze concludes her letter by asking for the UK’s decision to be “reviewed”. A Shell spokesperson confirmed that the company had meetings with the German government last year, in which the company went through its comparative assessment process and explained how it arrived at its recommendations. 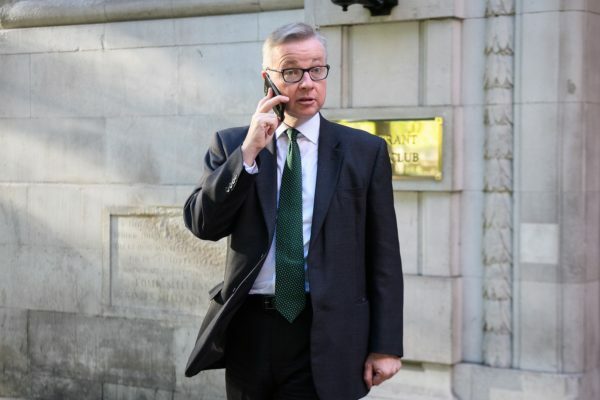 Unearthed and The Times jointly asked Defra if Michael Gove had replied to Schulze’s letter, but received no response. Even though the documents set out the German environment ministry’s concerns with the plans, Unearthed understands that the German government is still in discussions over whether it will formally object to the UK’s proposal to issue a permit to Shell at OSPAR. Under OSPAR rule 98/3 which deals with the disposal of disused offshore installations, if three OSPAR contracting parties object to a proposal, then a number of special meetings and consultations can be called to discuss and/or resolve matters. If that happens the UK government will have to weigh up these objections and concerns as part of its decision whether to issue a permit or not. OSPAR contracting parties cannot block the UK governments final decision. To date, no contracting party has received three formal objections. The German environment ministry failed to respond to a direct request for comment. A statement from Shell issued to Unearthed and The Times read: “Our recommendations are the result of 10 years of research, involving more than 300 scientific and technical studies. We established an independent group of scientific experts to review the findings and ensure all feasible decommissioning options were investigated thoroughly. We submitted our recommendations following extensive stakeholder engagement and only when we were confident that they were safe, technically achievable, and environmentally and socially sound”. This story was published jointly with The Times.